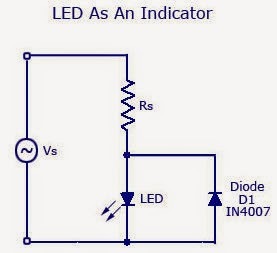 You may ask me that why should I waste my time by reading “how to make a LED indicator”. I already have neon indicators in my switch board. Actually a conventional neon indicator draws a significant amount of power from the supply. It causes an adverse effect in your electricity bill. Just replace the neons by bright LED. But you can’t drive an LED directly with mains power supply like conventional neons. If you try it the LED will be burnet out. 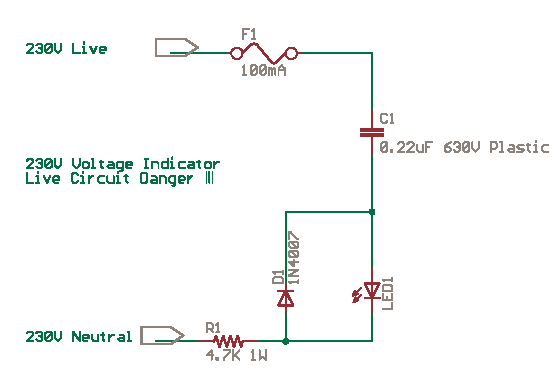 So you have to limit the current through the LED. Simply put a 100 ohm resistance in series . but led is a DC device. When you put it in 50Hz supply it will turn ON and OFF 50 times in a second. You can not detect it with your eyes. But it is harmful for LED life. So just put a rectifier diode there. Put it in all of your switch board and save energy. Hope you have enjoyed the post. Don’t forget to leave a comment.